Sat., Feb. 3, 2018, 10:25 a.m.
NEW YORK – Harendra Singh was in a losing battle with New York City over millions of dollars in rent on his waterfront restaurant. So, by his own admission, he opened his wallet and bribed his way out of the problem. He donated thousands of dollars to the mayor’s election campaign and, as a result, got a meeting with top city officials in which he hammered out a more favorable lease. Singh ultimately pleaded guilty to a federal bribery charge. The man he admitted to bribing, Mayor Bill de Blasio, was not prosecuted. That incongruity dogged de Blasio anew over the past week after Singh’s guilty plea, made in secret in 2016, became public for the first time. Reporters peppered the Democrat with questions about how someone could be guilty of giving him a bribe, but him not being guilty of accepting it. The mayor also suggested that Singh pleaded guilty only because he was in trouble for a variety of corrupt acts, many related to his dealings with political figures on Long Island. Legal experts said there are pragmatic reasons prosecutors might go after someone who tried to pay a bribe without charging the person who allegedly received it. 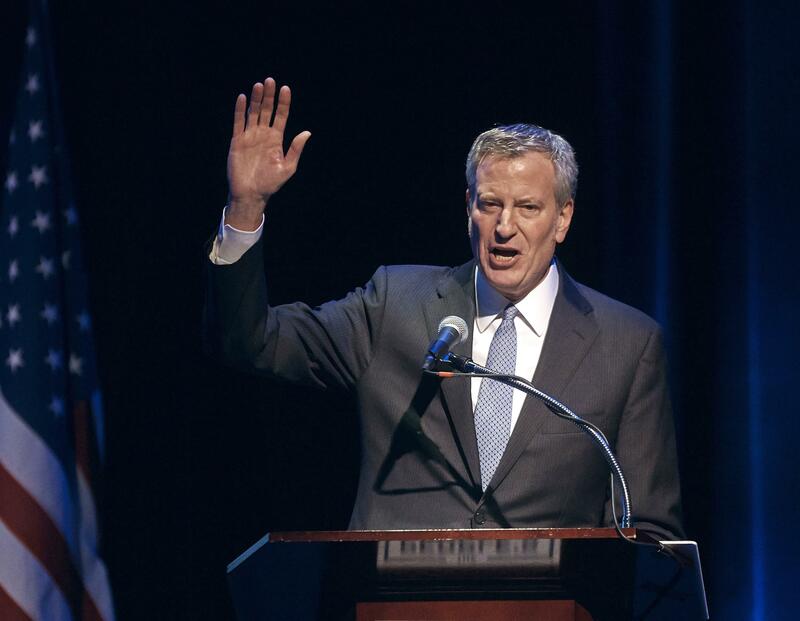 The former acting U.S. attorney in Manhattan, Joon Kim, announced last March that prosecutors had concluded there wasn’t enough evidence to charge de Blasio with a federal crime. Investigators had examined both the mayor’s dealings with Singh and with another businessman, Jona Rechnitz, who admitted buying himself political access with campaign contributions. De Blasio has also denied that Rechnitz got special treatment and called him a liar. The Supreme Court made it more difficult to prosecute elected officials in 2016, ruling they had to take an “official act” in exchange for a bribe for it to be illegal. Simply setting up meetings or organizing events for someone wasn’t enough. Failure to prove corrupt intent led to the collapse this week of the federal prosecution of U.S. Sen. Bob Menendez in New Jersey. Prosecutors said they wouldn’t retry the Democrat on charges that he traded influence for gifts and campaign contributions from Florida eye doctor after a judge ruled that they had failed to show an explicit quid-pro-quo agreement. One loud objection over prosecutors’ handling of the de Blasio investigation came from lawyers for former Nassau County Executive Edward Mangano, a Republican awaiting trial on charges that he also accepted bribes from Singh. Assistant U.S. Attorney Lara Treinis Gatz said in a court filing Tuesday that the claim of selective prosecution was baseless. Published: Feb. 3, 2018, 10:25 a.m.